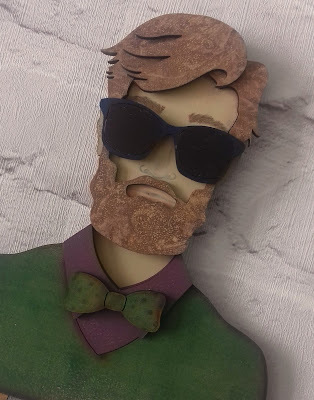 Home is where the craft is.....: Paperbabe Stamps Male mdf substrates. Paperbabe Stamps Male mdf substrates. 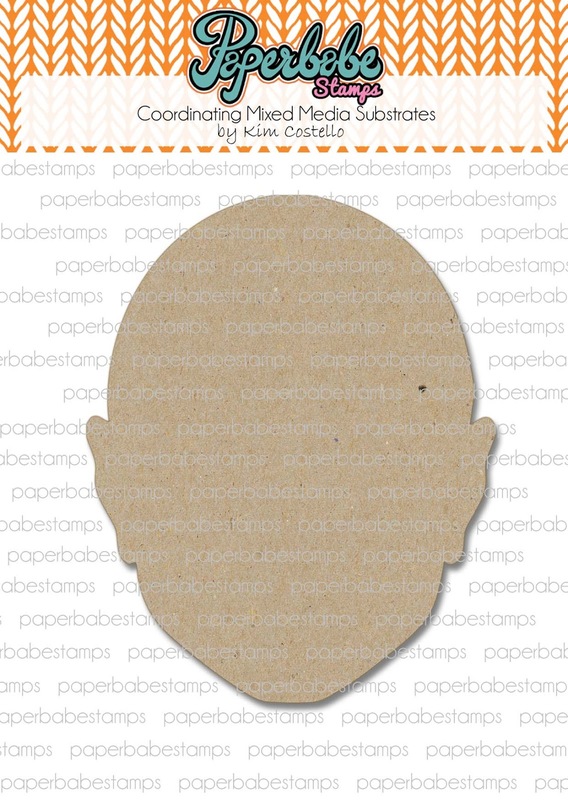 Thanks for joining me today, it's a really exciting day for Paperbabe stamps as Kim has added "lots" of new products to the store and we have pictures and samples to share with you. 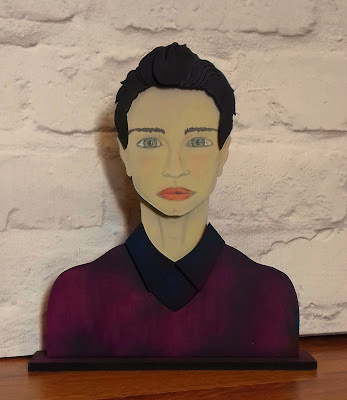 Kim - Miss Paperbabe herself, designs and produces stamps, stencils and MDF substrates, you are probably familiar with the female faces but have you seen the male version? Lets take a look at the new products and then I'll share my projects. There are 3 mdf substrates that can be used along with the male face stamps to create stunning piece of art. 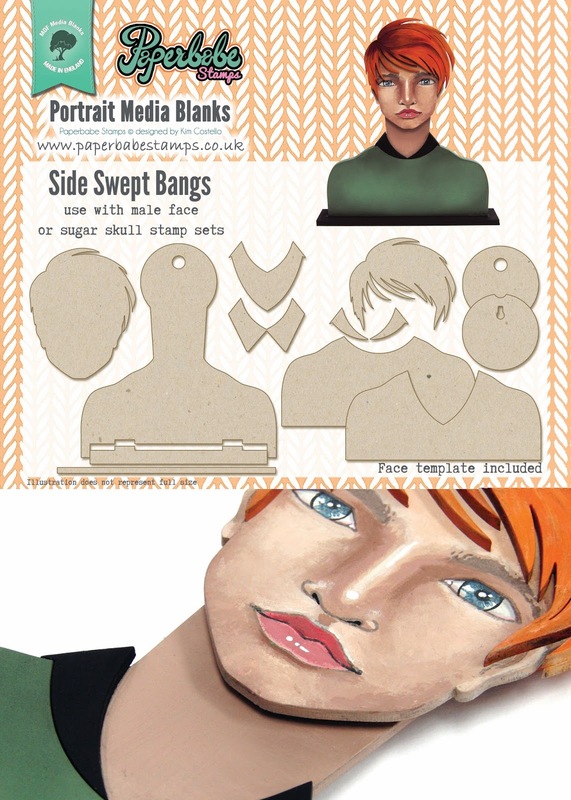 The side fringe is a nice casual look, the hair comes in 2 sections so you can add shading for a realistic look. The side swept bangs, in my opinion, creates a younger look. Each kit comes with 2 jumper styles and collar options. Pompadour is a really trendy style, modern and hip. You can choose to style your piece however you wish, in the picture above Kim has teamed the mdf with the Sugar skull stamp set, perfect for Halloween. 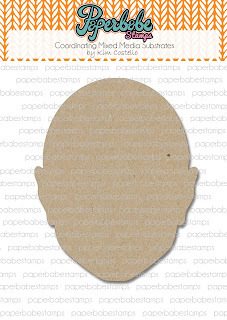 If bald is more your style then Kim has catered for you too with the bald head substrate, it can be used with any of the above kits instead of the hair included. 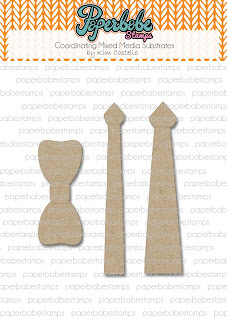 Of course you could use this along with the stamp set on a canvas or home decor project. 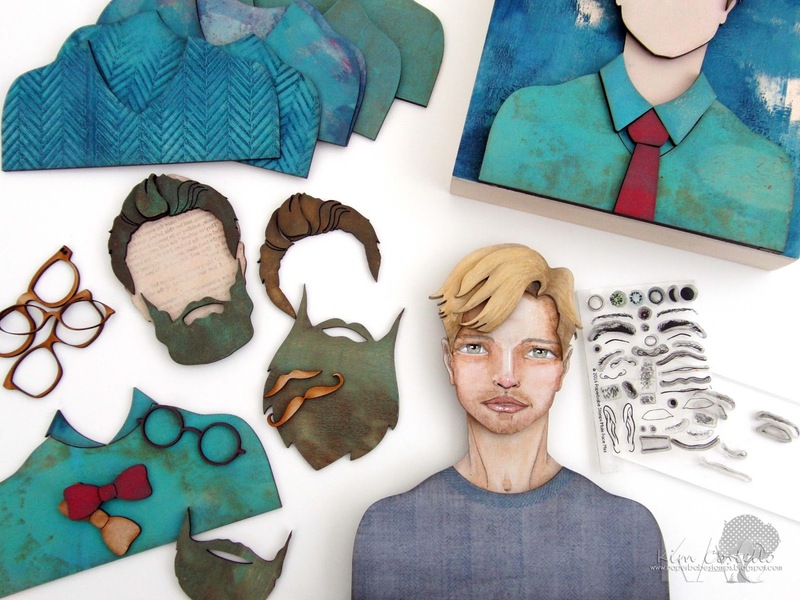 How do you feel about facial hair? 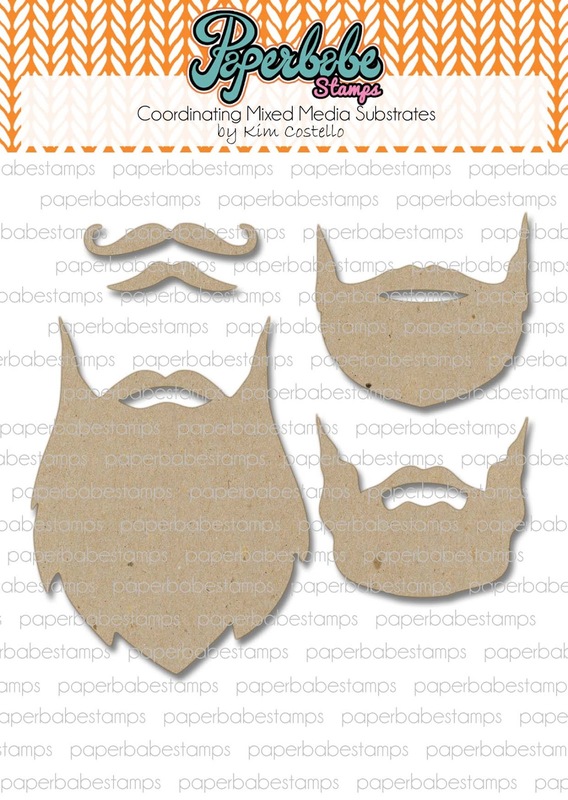 Are you a lover of the modern hipster beard that seems very trendy at the moment? 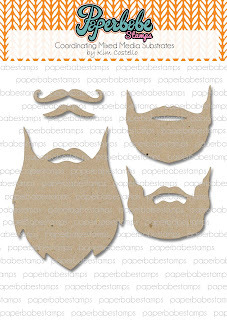 There are 3 beards and 2 moustaches per pack. Of course every cool dude needs glasses or shades in his life! There are four styles, these can be painted any colour, leave the lens out for glasses or add them in for shades. You can also use these with the female mdf kits too. Is formal more your thing? 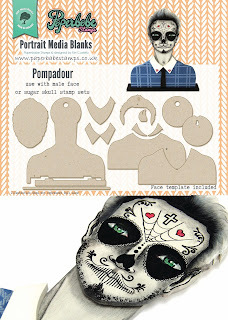 If so, maybe you'll want to add a tie or bow tie to your creation, you could really have fun with these. 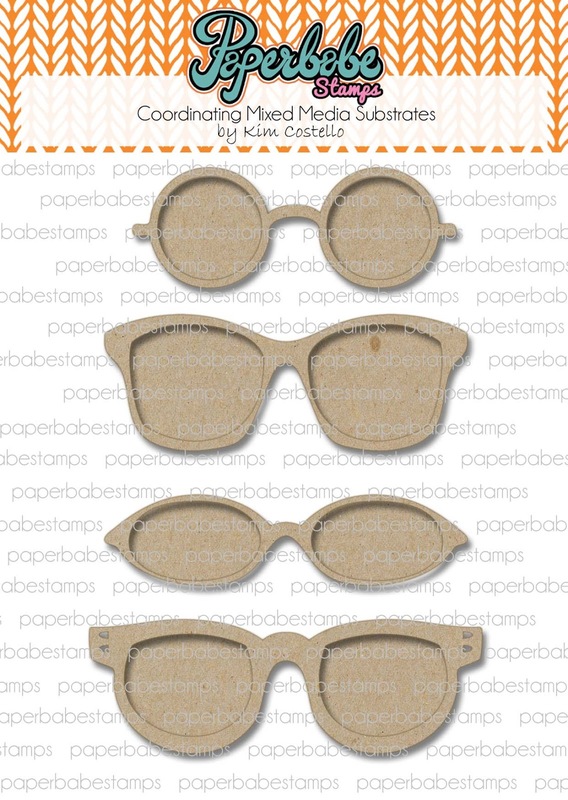 Here's a little peek at what you could do with the mdf kits and stamps. I love how your options are endless, so many combinations and looks can be achieved. 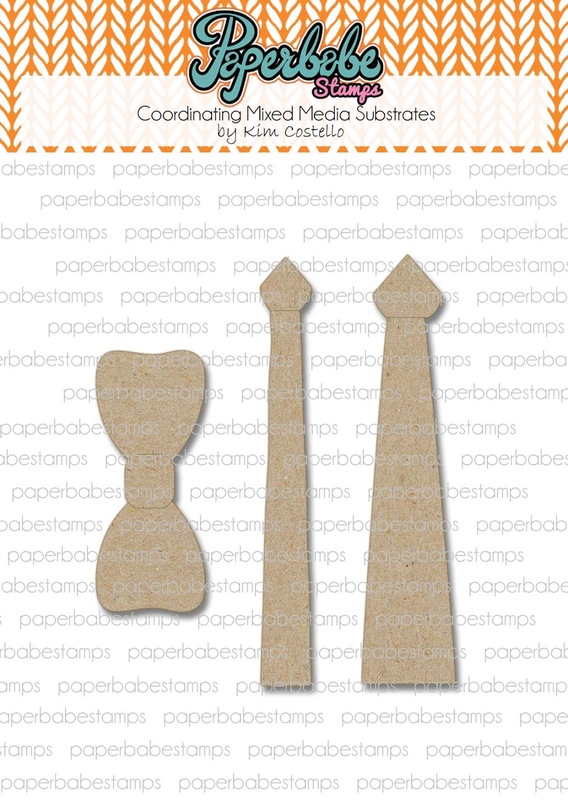 All of the items are now in the Paperbabe Stamps Store, along with lots of other temping goodies. 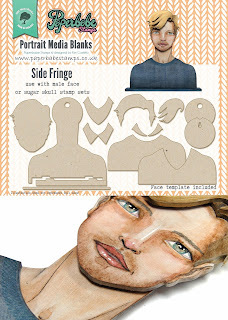 I used the Pompadour mdf kit and male face stamp set to create my project. 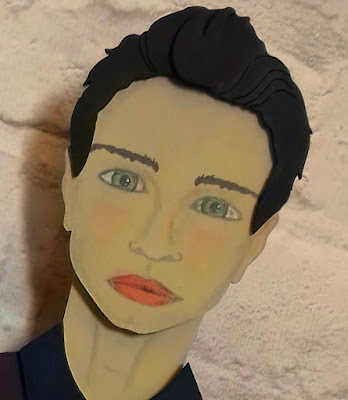 I chose acrylic paint and pencils to add colour and shading. You can keep it as simple as you like or go to town on it and add lots of detail, this was my first project so I kept it simple. 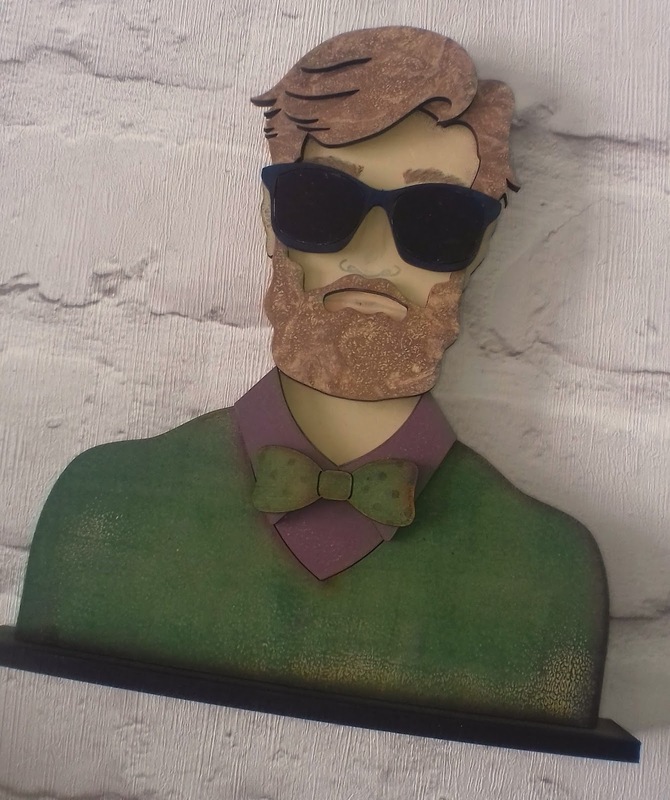 This time I decided to go for a different look, an older guy with facial hair and shades. I used acrylic paint and a Gelli plate to colour the mdf as shown by Kim in one of her Hochanda shows. I love this way of colouring the mdf as it's so quick and you gets so much detail as shown in the beard below. Who doesn't love a cactus card or two? Who said leaves have to be green?